The salmon season may be winding down but we have had very favourable conditions this week and there has been some very good fishing. Sometimes at this point of the season there are not many options but if you are thinking of escaping the bustle of Black Friday (no we are not doing a sale) and heading out there are a number of great options! On the Black Friday front as we said above, we are not doing a sale this weekend. As most of you know we do a MASSIVE Boxing Week sale. Save your Christmas money for then and make sure you follow the report for all updates and deals then. On the fishing front, the salmon fishing is not over on the rivers. 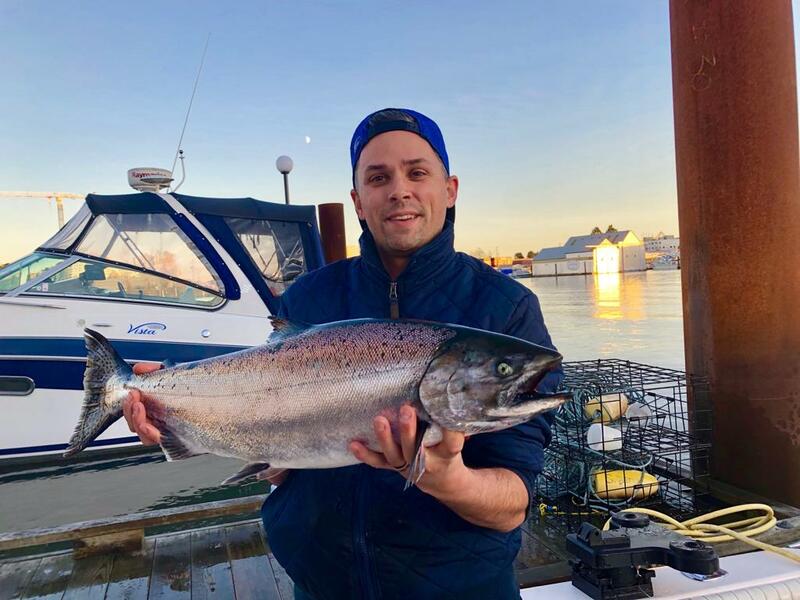 It is winding down and on systems like the Vedder it has slowed considerably but the Squamish and the Harrison system are historically much later runs and guys are still hooking fish that are fresh. Check out the reports below on the Squamish, Harrison, Stave and Vedder for more details. Trout fishing is something we all talk about this time of year and it has been good. 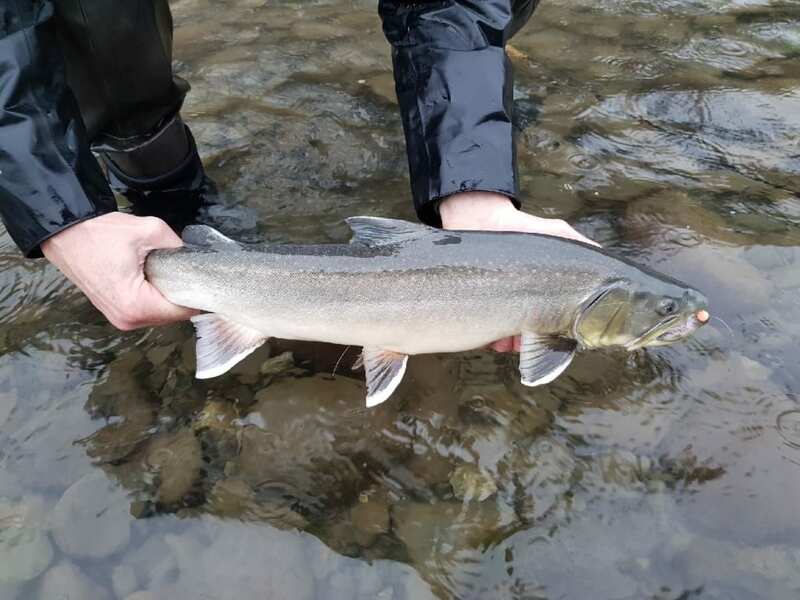 The rain has kept rivers at a good fishable level and the weekend looks great if you want to head out with an ultra light or fly rod for bulltrout, rainbows and cutties. Pretty much every system that has salmon spawning in it will have trout. We have touched on it in the river reports. Matt is out on his egging course this weekend and will have a full write up next week! Saltwater anglers enjoyed some productive fishing this week. Crabbing has been slower so we’d suggest you focus on prawning. The marine forecast for this weekend is not looking great, but keep an eye on that in case it changes and you can get out. Lastly if you missed out on our Fair Flies demo night it was a huge success and we are extremely excited about not only the cool new products these guys are pumping out but the story and core values of this company. 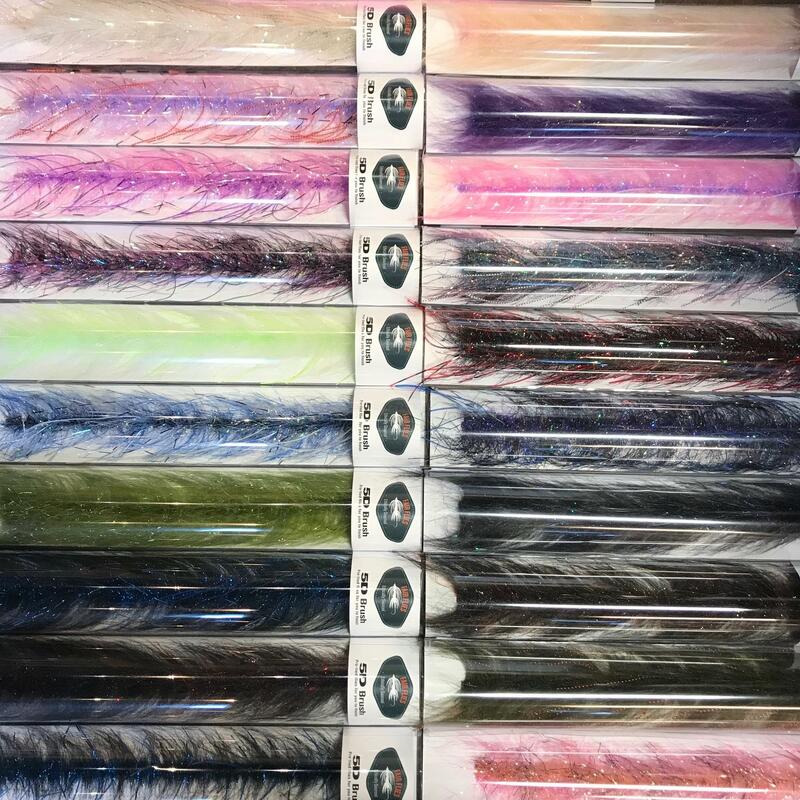 If you are a fly tyer, Zach has a write up on some of the highlights from the night and the store is well stocked on the products. In case you missed one of the many demos that were travelling around BC over the past couple of weeks, this week I am going to highlight some of the things that went down during our Fair Flies tying demo that we hosted a few weeks back. If you’re not familiar with Fair Flies, you should come on into the shop and get acquainted with their product because they are a game changer when it comes to tying intruder style flies as well as jigs. There is a lot of bad that goes on behind the scenes in the world of tying materials and Fair Flies is out to change all of that. There is a lot of good that they do so instead of filling a whole fishing report worth of all the amazing things that they do I encourage you to hop on over to their website and read up on it for yourself. We had Jeff Coffey the founder of Fair Flies and Ben Gherke of Lagartun tying up a few flies using the 5D Brushes as well as the brand new Fly Fur. If you haven’t seen the Fair Flies brushes in person, do yourself a favour and come into the shop to check them out. We have a wide range of brushes available in all of your favourite Salmon and Steelhead colours. The 5D in the name corresponds to the 5 layers of wire in these brushes and as of January 2019 all of the brushes will be using Lagartun wire to hold all of the materials in place. Obviously by having 5 layers of wire you can stack different materials together and not have them fall out of the brush easily, also it adds an incredible amount of strength to these brushes. Disclaimer: DON’T USE YOUR GOOD SCISSORS TO CUT THE WIRE, you will shred through your expensive scissors quickly if you do. Pick yourself up a pair of wire cutters to take care of this task. We have a great selection of Fair Flies Brushes. Using these brushes for tying Intruder style flies really speed up the tying process. Don’t get me wrong, I love making composite loops and creating some unique flies with this technique but it is not a technique that is built for speed. All you have to do is tie in the brush give it 2-3 turns around the shank and your front or rear station is complete. Instead of your Intruders taking 45-60 minutes you can now knock them out in about 5-10 minutes! Like I said before, game changer. Jigs are just as easy to tie with the brushes, 5 turns on the shank and you’re done. We’re also stocked with their fly fur. Now, onto the Fly Fur. This is by far the best quality craft fur on the market, no comparison; it actually feels like real fur or hair. 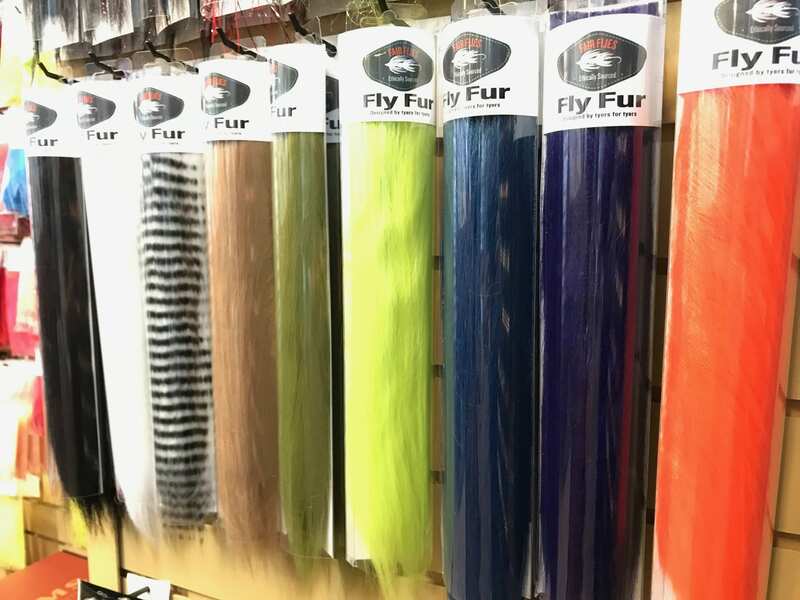 Use it like you would on any pattern that you would use craft fur, polar bear or bucktail. The fur fibres are all the same length, no split ends, and it also has very little under fur so you don’t get a lot of waste, very good bang for your buck. The really cool and game changer feature of the Fly Fur is that you can cut the “hide” against the grain, almost like a cross cut zonker and you can stretch the “hide” into a Fly Fur rope. This makes it really easy to make fur collars for your flies without having to spin it in a dubbing loop. If you want to see these materials in action make sure to get yourself on our waitlist for our Steelhead Tying Jam on November 27th. Ben will be here demonstrating how to use the brushes in his favourite patterns. 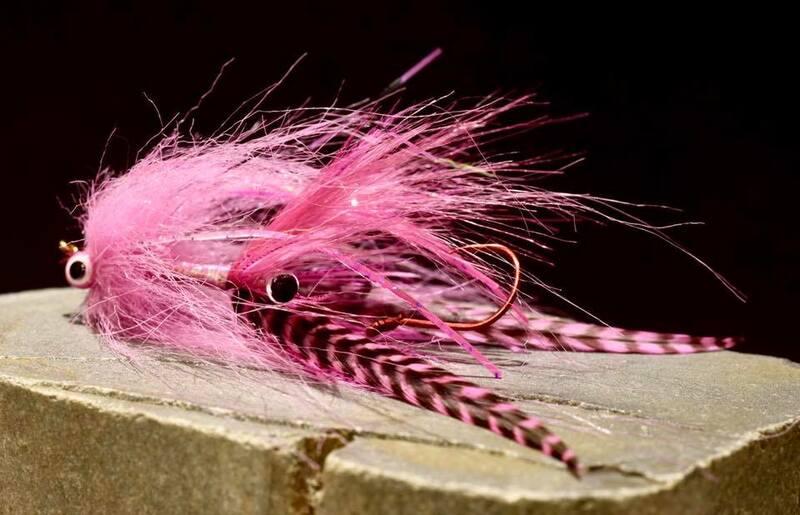 I also have a Steelhead Prawn pattern that I will be tying up that uses both the brushes and the fly fur. This event is always popular and sells out every year – that said we always have people who can’t make it last minute so don’t hesitate to put yourself on the waitlist! If you can’t wait until then, please come on in to the shop and we can show you these amazing products work. We are nearing the end of the season on the Vedder for salmon but it is not completely quiet yet. While the pushes of fresh fish are getting slimmer and slimmer by the day we are still seeing fresh coho and chum coming out of this system and this isn’t out of the ordinary. 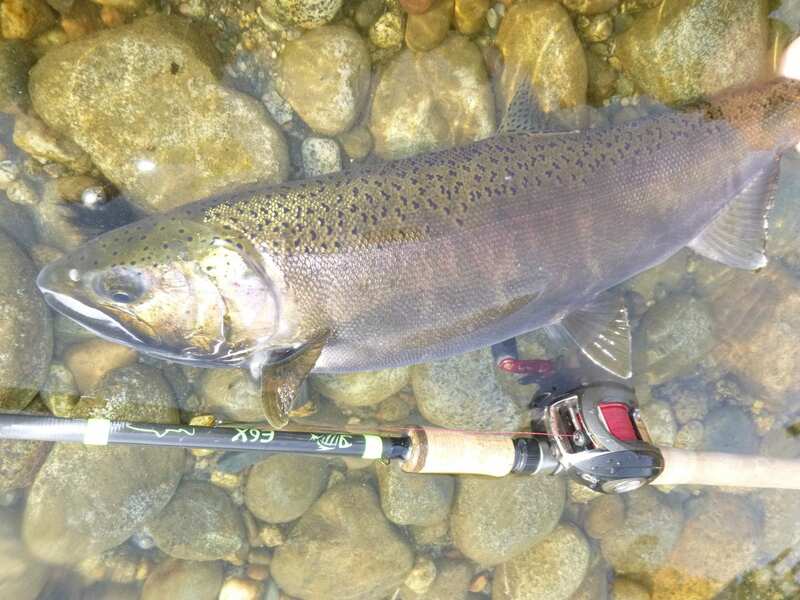 The coho are still out there but they are coloring up and the season is winding down. 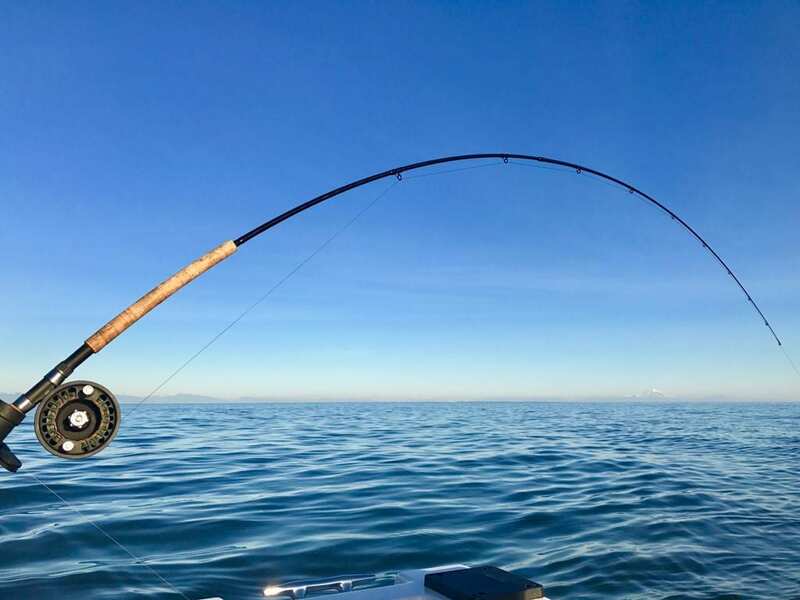 Contrary to peak season this can be a great time to get out and spend a more relaxing day on the Vedder and still get into a couple of fish. Don’t expect big numbers like in September/October but put in the legwork and you might get lucky. Water conditions were good earlier this week but keep an eye on the graph as we are in the middle of some wet weather for this weekend. Look for good holding water and move lots. If you aren’t seeing or getting much don’t throw your entire arsenal in that stretch of water, keep moving and find some aggressive ones willing to bite. It will almost feel like Steelheading at times during your search. Speaking of Steelhead, they are just around the corner now. Come get geared up for the “Fish of a Thousand Casts” before the season gets under way. The Squamish levels were favourable this past week with many anglers finding fish throughout the system. We had some rain this week and the river rose on Thursday but it did not blow out. It should shape up well for the weekend with water levels holding good fishable heights and clarity. Ben with a nice bulltrout caught while drifting beads. Whether you use flies or gear, covering water and exploring can lead to success. Moving in to the later stages of the salmon season, trout fishing has continued to be steady. 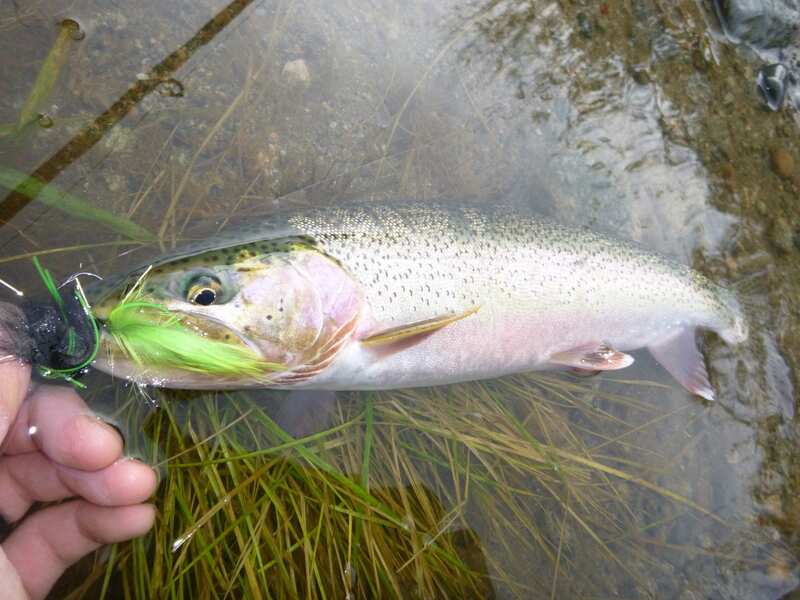 Many anglers use small spoons and spinners, as well as sculpin imitations on fly rods. Another good effective method is to drift beads under a float on medium or light action drift/spin rods, or to set them up on a nymphing rig with an indicator on a fly rod. Either method is effective, and having a variety of colors can make difference. Matt is out on the egging course this weekend so next week we will have a write up and a more specific egging report with techniques. With it still being fairly warm, bears sightings have remained fairly common. Be aware and safe: remember to always make noise and to carry bear spray where it is accessible- having it in your backpack or bag doesn’t do much good in a time of need. The Harrison is one of the later coho runs in the valley and we are still hearing reports of fresh fish in the system. The water has been high but it is dropping and at good hikeable level. The sloughs in the area are also a great look at this time of year and the reports have all been solid. With good weather in the forecast (a mix of rain and overcast days) You will find fresh coho in the system as late as December, so don’t be scared to get out there. Spoons are probably the most productive way to cover the wide-open areas of the Harrison but twitching jigs are great for tight slow water spots. We still have a stock of Andre’s coho flies that are specifically designed for this system if you want to get out with the fly rod. In the wide-open areas fish an indeterminate sinking line and in the tighter spots, a fast sink tip is best. We are wrapping up the salmon fishery on the Stave, as the presence of fresh fish is getting slimmer day by day. There is still some amount of fish in the main stem but the majority of them are coloured. That said there are still some opportunities to fish the stave for trout. As salmon come in we are seeing more trout that followed them into the system to gorge on eggs. You can either fly fish or float fish with trout beads. They will also chase lures however because they are more focused on the easy meal it might not be as effective. Trout fishing is picking up Alex got this nice cutty on the Stave this week. If you need help with the egging setup, come by the shop and our team will gladly give you a hand. I hope you got out last weekend as the weather and sea condition were amazing. It was sunny and flat calm for the most part and the fishing was pretty good as well. There were some nice fish taken in Howe Sound, with Saturday being particularly productive, but things slowed down quite a bit on Sunday. Over on the other side of the pond it was productive as well. I fished the Gulf Islands and was into a good number of undersize fish and some decent legal fish as well. I was there the weekend before and had similar action. A beautiful day in the Gulf Islands chasing winter chinook. Unfortunately the forecast for this weekend doesn’t look so good with a rainy low-pressure system being in place and SE winds getting up to 40 knots by Sunday. The wind in Howe Sound looks marginally better, if you can get there. If you really want to get out, it might be worth trying in Vancouver Harbour as there are always some winter chinook that show up there in December and you will be somewhat protected from the SE winds. Try the Cap Mouth on the flood and the freighters or Bell on the ebb. Scott back at the dock holding up a nice chinook taken from Howe Sound this past week. In terms of gear, the brighter gear seems to be working the best so far. Chartreuse and green flashers have been productive, such as BC, STS, and Chartreuse Phantom flashers. Spoons have been working well for us, on 6-foot leaders. Our productive spoons this past week have been Skinny G, G-Force 3.0, Kingfisher 3.0, and Koho Killers. A variety of colours have been productive but the best producers have had green, chartreuse, and glow on them, as usual. Think Irish Cream, Outfitter, Homeland Security, Green Glow, Yellow Tail, etc. Crabbing has been lack luster and prawning has been decent, but with the winds this weekend I would avoid setting prawn traps as you might not be able to get back to them for a bit.